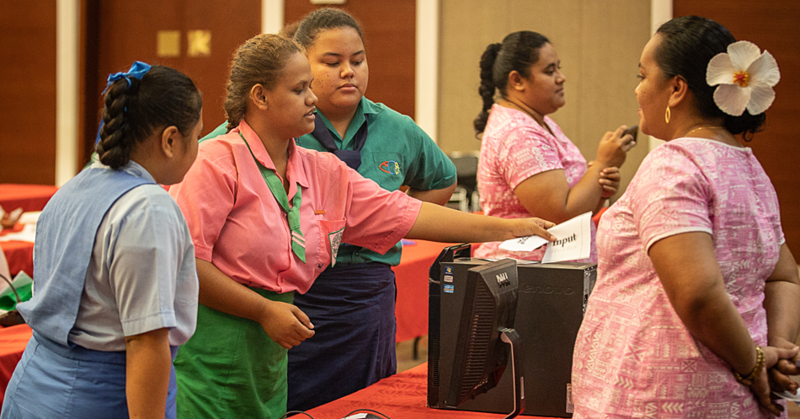 Representatives of Pacific governments, civil society, private sector and development agencies are meeting at the Pacific Islands Forum Secretariat this week to discuss the path forward for sustainable development in the Pacific region. 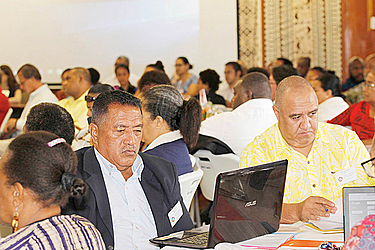 Some 150 people were reminded of the need to put Pacific people and their environment at the heart of future development as the dialogue, being co-convened by the Council of Regional Organisations of the Pacific (C.R.O.P.) and the United Nations, got underway. The keynote address was delivered by the Acting Prime Minister of Fiji, Aiyaz Sayed-Khaiyum who advocated for a “workable and realistic regional game-plan” referring to the three key development frameworks that will guide the discussions – the 2030 Agenda/Sustainable Development Goals (S.D.Gs), the S.A.M.O.A Pathway and the Framework for Pacific Regionalism. “We need to think outside of the box to come up with more creative solutions going forward. 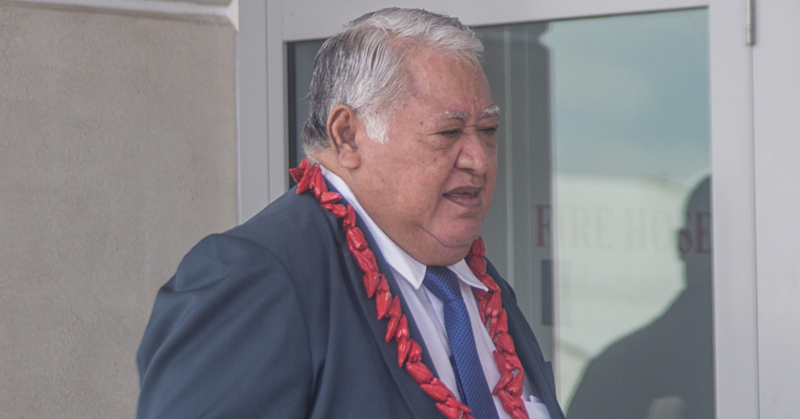 Because our progress on these issues translates directly into higher standards of living for Pacific Islanders and greater opportunities for them to better themselves and their communities, so – for their sake – we need to do better,” Mr. Khaiyum said. In her opening remarks, Forum Secretariat Acting Secretary-General, Cristelle Pratt said the three development frameworks – that would shape discussions this week “speak the same language about our development aspirations as Pacific peoples which involves improving the quality of our lives, while ensuring we sustain our land and ocean heritage for our future Pacific generations and for the global community”. “As a regional collective, we have been instrumental in shaping these global agendas and we continue to show global leadership especially on Oceans and Climate Action. 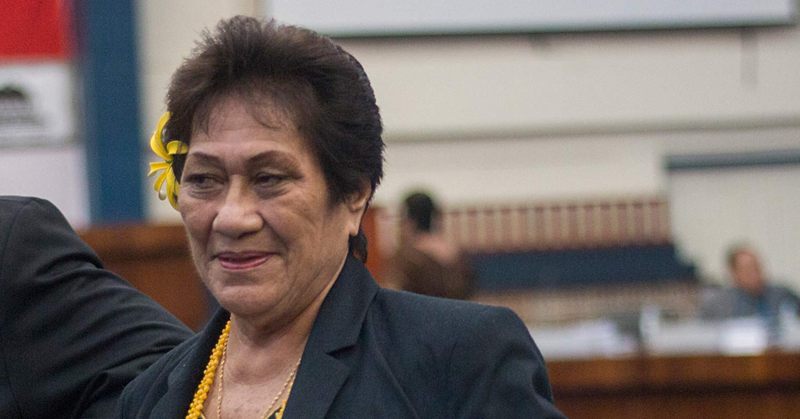 So over the next three days, it is really about having a Pacific talanoa – a conversation and conversations about how we respond to these three key policy frameworks and to our Leaders’ decisions for the benefit of our peoples, our communities, our countries, and our region,” Ms. Pratt said. “Our Leaders have asked that we in the Pacific ensure that these global and regional commitments deliver for us where it matters the most – at country level. They asked that we make sense of them and ensure we take an integrated approach to contextualising, implementing and reporting on these agendas so that we have policy coherence. United Nations Resident Coordinator Osnat Lubrani spoke of the importance of the quality of, availability and use of data, referring to the UN’s recent Pacific consultation on its Pacific Strategy. “We (U.N) also need to strengthen our own accountability to be able to measure how we’ve contributed to the countries. Achieving the SDGs will require a much more integrated approach,” Ms. Lubrani said. Mr. Khaiyum said development stakeholders of the region needed to view the development of an effective regional roadmap as an opportunity “to address the deeper, structural issues in our economies that are holding us back from reaching our true potentials. “We live in a globalised world. We have at our disposal a global marketplace that offers innovative, cutting-edge technologies that can be game changers for small-island economies. These opportunities won’t be gifted to any of us on a silver platter – they need to be sought out,” Mr. Khaiyum said. Preparations by an inclusive Pacific S.D.G Task Force for a roadmap to guide the Pacific’s response to these three policy agendas began in 2016. The Roadmap sets out how the Forum members will be supported as they seek individually and regionally to implement the 2030 Agenda for Sustainable Development. It will also focus attention on the links between the 2030 Agenda and the role played by the SDG indicators, tailored to accommodate Pacific priorities, in monitoring the performance of the region against other regional and global commitments. A specific focus will be on how S.D.Gs can measure the contribution of broad-based and inclusive partnerships - a priority outlined in the S.A.M.O.A Pathway and on how progress can be made through fostering regional cooperation, coordination and integration as promoted through Framework for Pacific Regionalism.